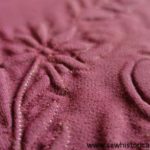 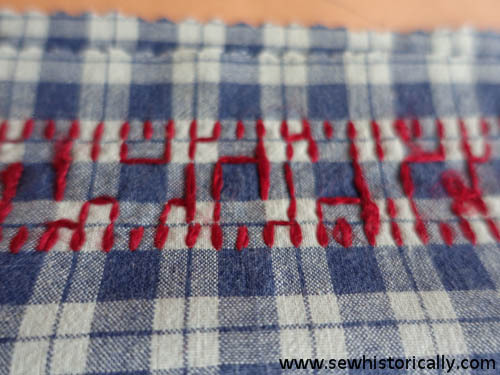 This is part 3 of my series ‘Vintage Embroidery And Sewing Techniques’ with four 1950s counted-thread embroidery samplers. 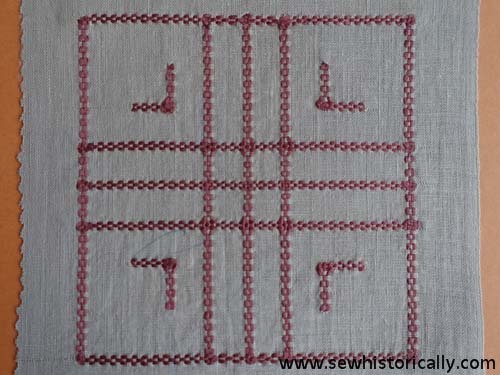 This is the first sampler with different embroidery stitches. 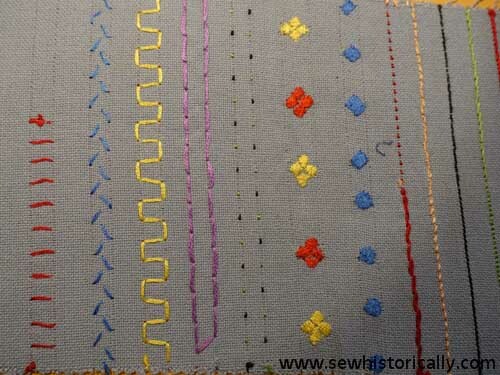 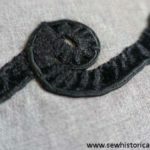 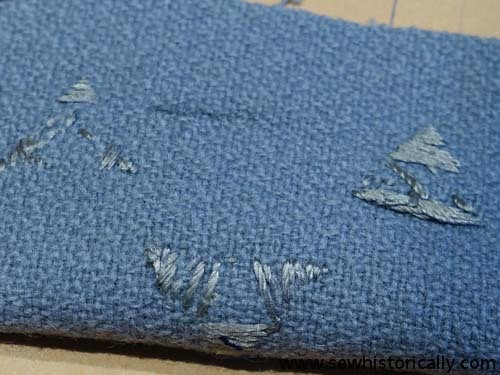 To get a straight line, one thread was removed before stitching. 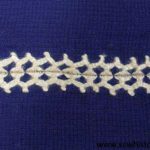 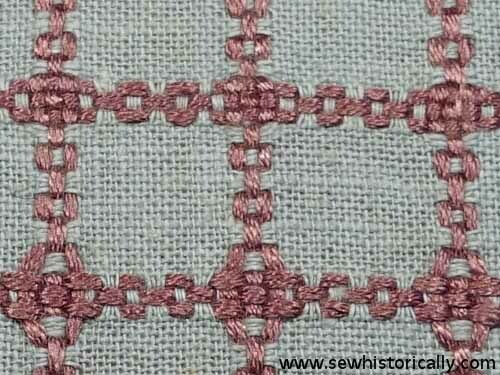 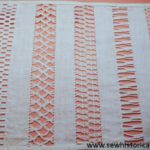 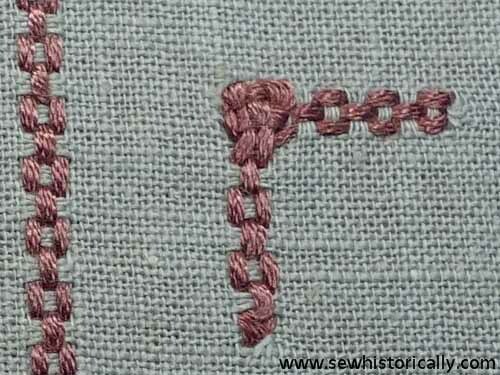 From left to right: a kind of knotted blanked or braid stitch, feather stitch, cross stitch, zigzag stitch, herringbone stitch. 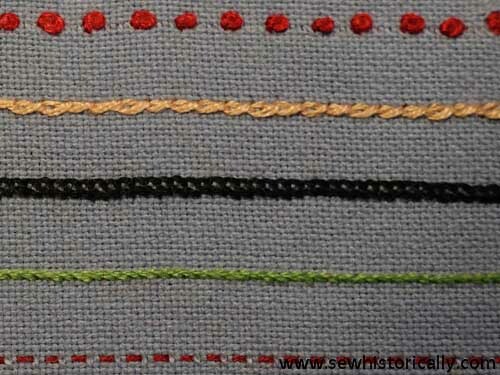 From left to right: satin stitches (red, yellow and blue), threaded back stitch and knot stitch (red and apricot-colored), bullion stitch and twisted chain stitch (apricot-colored), chain stitch and a kind of stem stitch with one row of buttonhole filling (black), running stitch (over one thread, under two threads) and stem stitch (green), back stitch and running stitch (over two threads, under two threads) (red), and blanket stitch (yellow). 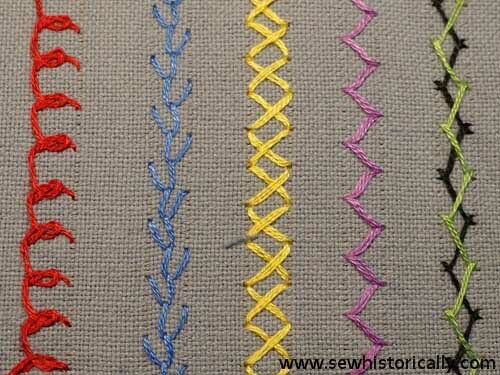 Sampler two is a colored drawn thread work. 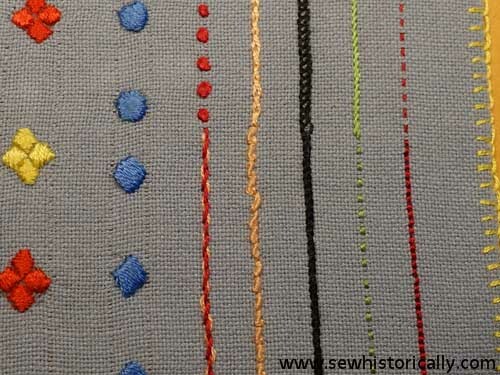 The threads were removed and replaced with different colored threads. 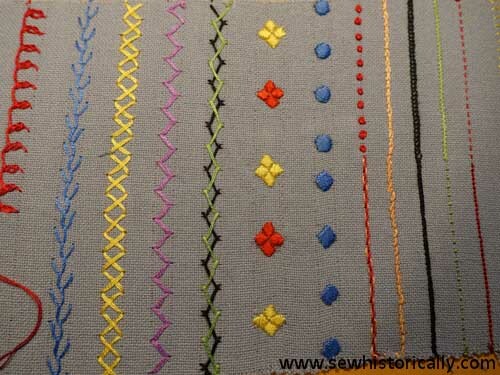 Sampler three with three different tacks: ‘Arrowhead tacks are used at the top or bottom of plaits and laps and at the ends of seams and pocket openings. 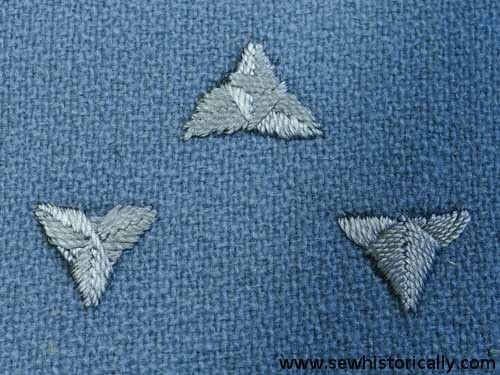 […] The crow’s-foot tack is the most ornamental of the fancy tacks ordinarily used at the end of pocket openings and seams.’ (1921 instructions about how to make arrowhead and crow’s-foot tacks with illustrations) Here are 1916 instructions with photos about how to make a five-pointed star tack which is used on middy blouses. 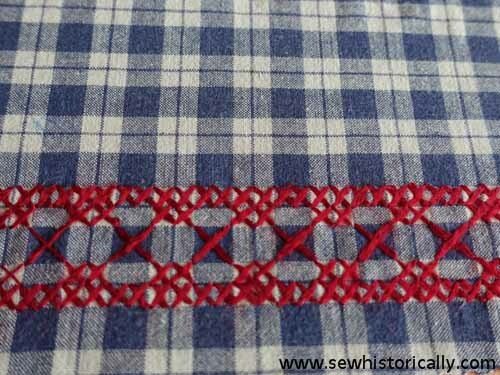 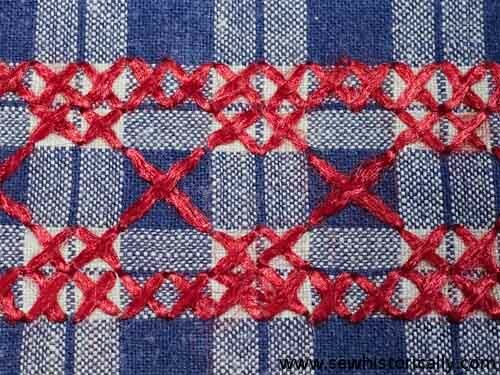 And some red cross stitch embroidery on blue cotton gingham for a child’s dress. 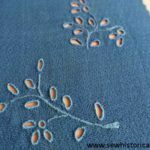 Here you’ll find part 2 and part 4 of my 1950s embroidery series.